Answer: Your subconscious beliefs establish the limits of what you can achieve. If your life feels like a car being driven with one foot on the accelerator and one foot on the brake, chances are you have a conflict between your conscious goals and your subconscious beliefs. This kind of conflict can show up in your relationships, job performance, self-esteem, athletics, weight loss, prosperity, even your physical health. Answer: PSYCH-K is a unique process evolving from years of brain research and hundreds of sessions with individuals and groups. It creates a receptive, “Whole-Brain State” that dramatically reduces resistance to change in the subconscious mind. The subconscious can be accessed in a way analogous to a personal computer. PSYCH-K works as a kind of ‘mental keyboard’ — a user-friendly method of communicating with the subconscious mind that is simple, direct, and verifiable. Also, don't forget to check out my main page on PSYCH-K with even more information and videos on PSYCH-K. Click here to view. 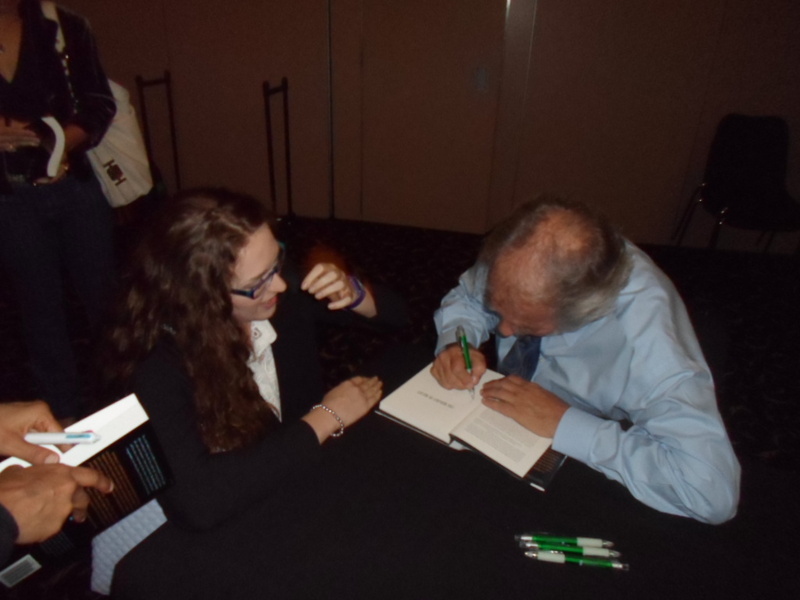 Here is Bruce Lipton signing my copy of his book 'The Biology of Belief' for me. This book is were I originally discovered PSYCH-K. Thank you so much Bruce!